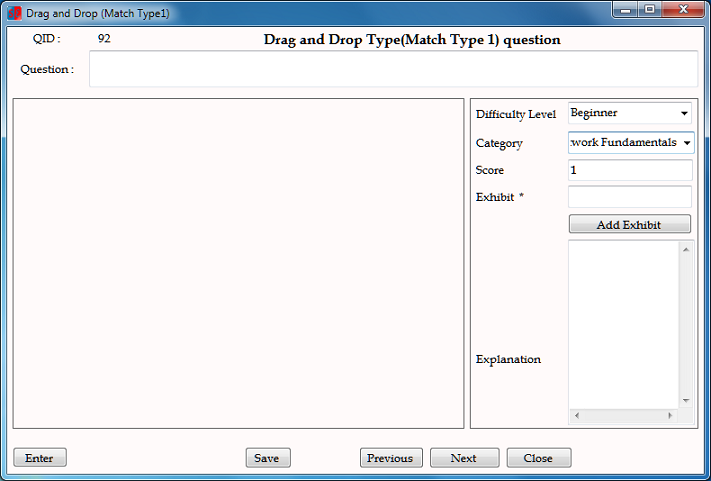 This type of question is similar to match the following type question but with a drag and drop interface. User has to drag each left element to the correct spot on the right. A drag-and-drop interaction involves a drag source and a drop target. Users drag the drag sources and drop them onto drop targets. 1. 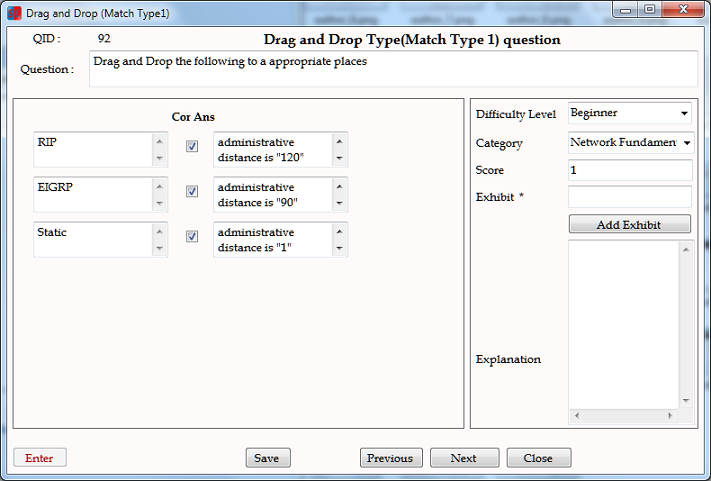 Entering a new question : To enter a new question select "Drag and Drop Type2 (Text based1)" under "Choose Question Type" in Author/Question Type screen and click on "Add New/Insert". 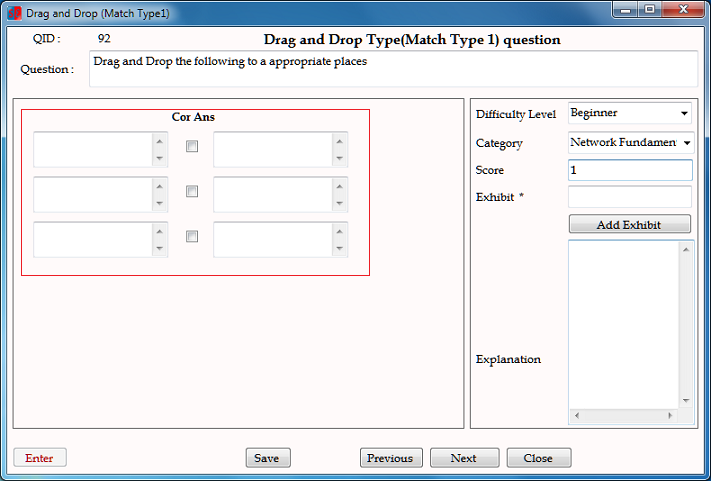 Enter the Question and Answer options (Make sure correct answer option match is placed next question option). 2. 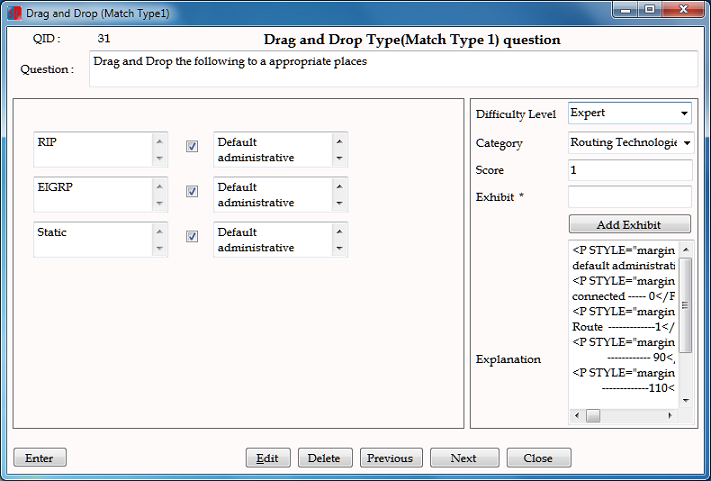 Edit an existing question : To edit an existing question select select "Drag and Drop Type2 (Text based1)" under "Choose Question Type" in Author/Question Type screen and click on "Edit/Delete".